Educators from all around the world are beginning to use Twitter as a valuable piece in their professional growth toolbox. As professional development continues to evolve and transform, we will need new ways to encourage teachers to embrace new opportunities. Here is a "How to Twitter Guide" to share with new and veteran teachers. Enjoy! Will share this with my teachers for sure. I just showed them how I use Twitter, and a few of them jumped on board. Thanks for concisely writing how I need to mentor them. This is perfect timing - I just showed Twitter to our professional leadership team on Thursday. This is a great follow up to that conversation. Thanks! Perfect! This will come in handy when people give me the "you are on Twitter" look. Thanks for sharing. Thanks for these ideas! I'm just about to meet with my admins and the more info and resources that ate logical like this, the better my case! Justin-this is outstanding! Thanks for posting and sharing. I have exactly 0 teachers in my district who use Twitter! Need show them the potential and power. Look forward to more of your tweets. Thanks Justin. As a long-time educator but twitter-rookie I really appreciated your 10 steps. 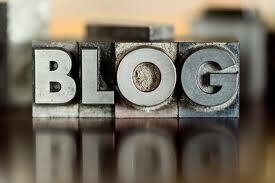 I will be returning to your blog regularly...great advice! Thanks for this post, Justin. I just re-posted on our school district's intranet. Not only will it help those teachers new to Twitter, but also those of us who could stand to use it more effectively. I'm on the north side of sixty and have been using twitter for several years to follow the most current trends, It is well worth the effort and has its many rewards! Thanks for this useful post. 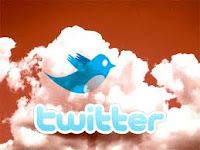 I an encouraging my student teachers to sign up for twitter and I plan to share this blog with them. Thanks, Justin. I've only been on Twitter for a couple of months now and am still learning... thanks for the tips! Great post Justin, thanks for the helpful tips! Thank you for putting all that together! I've encouraged several colleagues who are interested, and this is great starting point for them. Pls consider also including @tdottawa in your list of exemplary educators! He is awesome! This was a great post for a newbie like me to twitter! Thank you! I have so many ideas on how to use Twitter in my 1st and 2nd grade classrooms now! I couldnt read and write fast enough! Thanks!